Oscar Egg believes he is cursed, just like his favorite team, the Boston Red Sox. Oscar's real parents didn't want him, and now his adopted mom has dumped him off to live with her estranged husband—Oscar's strange and sickly adoptive father. But Oscar's dad has a secret. 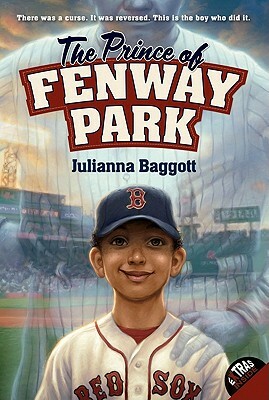 He lives deep below Fenway Park, and is one of a number of strange magical souls called the Cursed Creatures, a group that has been doomed to live out their existence below Fenway until the Curse is broken. What no one could have predicted is that Oscar is the key to breaking the curse. Julianna Baggott is a poet and the author of several novels for adult readers, including Girl Talk, The Madam, and The Miss America Family, as well as Which Brings Me to You, cowritten with Steve Almond. As the pseudonymous N. E. Bode, she has written The Slippery Map, The Anybodies, The Nobodies, and The Somebodies. She lives with her family in Tallahassee, Florida.